Do Idols Deserve their Title? You’ve heard stories of idols saying negative things, committing sajaegi and drunk driving. Yet, some of these people are still famous and boast large popularity. Certain people just have the ability to captivate audiences, giving them unprecedented access to the minds of others. When everything they do is scrutinized, do these performaers have the responsibility to be role models to the people that look up to them? Some are given the title of ‘idol’, but do they deserve it and are they living up to the title? For starters, what makes a person deserving of the title ‘idol’? Is it their talent? Personality? Actions? Talent is the basis of all idol groups; though there are some arguments about untalented members of groups, the bottom line is you can’t be anyone without talent. There is no doubt that the Korean entertainment industry promotes hard work as their basic work ethic. With schedules filled by constant promotions, practices and concerts, it’s hard to see where these idols get a break. Whether it is singing, dancing or acting, they spend hours upon hours practicing and honing their talent until it is ready to be seen by the public. Now, that’s dedication! Who better to be a role model than someone who works for what they want? To me, these people have the ability to inspire people to pursue dreams through hard work and perseverance. What the heck, you might even decide to take up dance lessons just because you want to be like Taemin — despite a personal lack of rhythm. Secondly, I think someone with personality and the confidence to speak their mind deserves the spotlight. Someone who stands out from the crowd and is not afraid to say what they want, and say what people need to be hear, is worthy of being an idol. 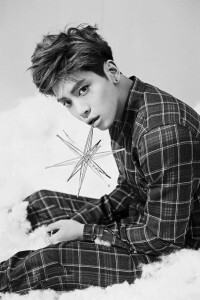 SHINee’s Kim Jong-hyun made a name for himself speaking out for the rights of a transgendered student. These ‘idols’ have the ability to teach people to be confident like themselves and speak up when something’s not right in the world. There are also many idols that use their fame for good by providing support for charities. In response, the idol’s fans then start to provide for charities in the name of said celebrity. Once again, we see how idols inspire others with their actions. Lastly, this one is a bit of left field and rare in the K-pop industry, but I am going to say self-production. Someone who has sway in their own career, whether it just be choosing the songs on their album or their outfits. 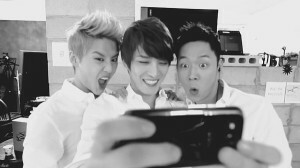 JYJ has proven that they can stand on their own, having creative control over what they produce. G-Dragon and Zico write practically all of their own songs. Despite all of the positive things they do, though, are idols living up to the public’s expectations? The answer is no. Why? Because people have unrealistic expectations. We have idols like EXO who boast large popularity, yet are still criticized on their ability to sing live. Do they deserve the popularity they have when they can’t fully perform? By the standards I detailed, not so much. Does this mean that they are not worthy of fame in general? Not necessarily. Though they are not the perfect performers they strive to be, they still have an appealing product to offer. There have always been arguments saying that a group’s popularity only came from the company they are under. We see it all the time with the big three, YG, JYP and SM. There is no doubt in my mind that the production and promotion provided by these companies has a big impact on the popularity of these groups. However, they still have to work hard to project the image of a ‘perfect’ person to sell the product. When everything you say is of importance to people, some things that are being said can do more harm than good. 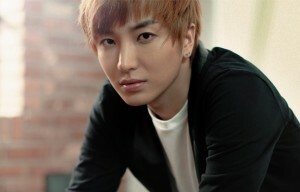 Members of Super Junior, Leeteuk and Shin-dong, have both made comments about ‘fat’ girls that are both negative and harmful. Yet Super Junior as a group seems to still have extreme popularity. It is the same for Doo-Joon of Beast. Their declaration that females should lose wait could have drastic effects on their majority female fan base. So why has this behavior been allowed to be forgotten without any proper apology. Sure you could say it is common behavior but does that make it all right? 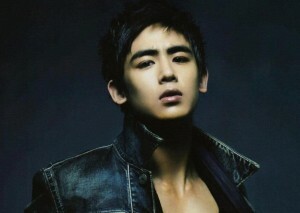 It doesn’t stop there, G-Dragon was caught with marijuana and Nichkhun was caught drunk driving. Are they setting good examples? No. Yet, they are all still popular artists. The excuse “it’ll blow over in time” shouldn’t work for someone as influential to the public as an idol. These bad things are sometimes glazed over and forgotten by fans in the attempt to preserve the ‘idol’ facade. Is that okay? No, it’s not okay. Some are still adamant to call these musicians ‘idols’, when they’re not. They are people; they make mistakes, screw up and can often make comments that are negative. Popularity is hard to achieve but easily lost. If someone were to enter a profession with the set goal of popularity, it is not sustainable. The idolization of people is flawed as much as the people themselves; No one is perfect, neither should we expect them to be. Though idolization has the ability to promote good behavior, it can also perpetuate bad behavior. The responsibility to be a role model rests on an idol’s shoulders, but the responsibility to think for themselves lies with the fans. More than just being politically correct or being the perfect person, all idols can do is show people to be themselves and learn from their mistakes. We all have expectations of what an idol needs to have to be considered “deserving,” but in the end one of the easiest ways to dehumanize someone is to idolize them.